Gemstone necklace made with 20 inch long 14k Gold Vermeil over Sterling Silver Semi Precious Apatite gemstone chain hung with a 20mm Aqua Blue Chalcedony clover gemstone pendent. 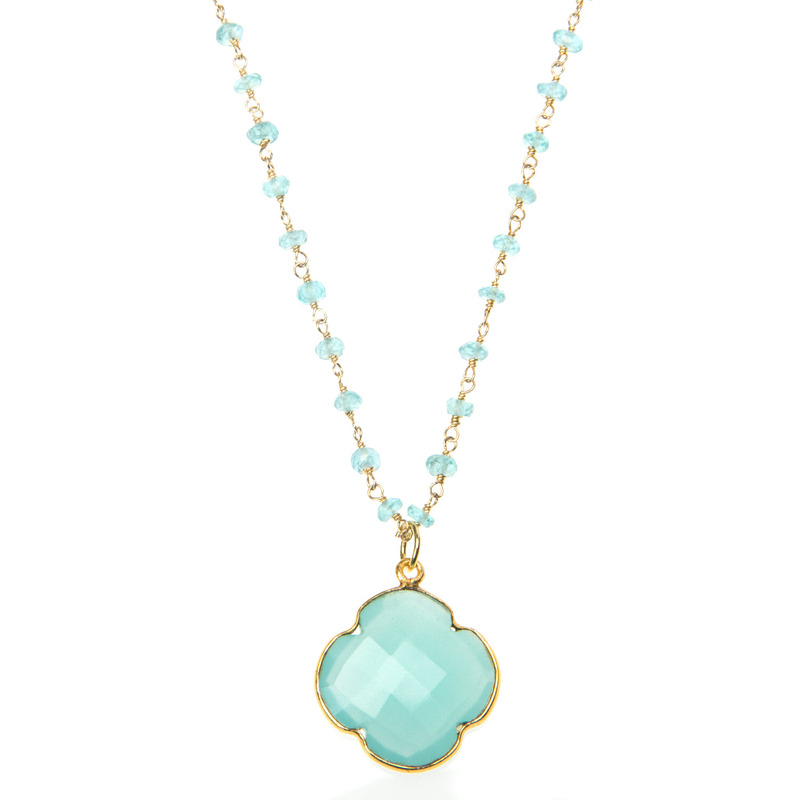 The Chalcedony pendant is encased in 18ct Gold Vermeil on Sterling Silver. The gemstone chain is 20 inches in length and the Chalcedony pendant measures 20mm across.